FIFA 15 is the twenty-second installment of the legendary series of football simulators. As it had been before, EA Sports was responsible for the production. The gameplay focuses on the same as always, we control selected football team, and then participate in 90-minute matches and try to score more goals than the opponent. There are various game modes available, from the manager career mode, through single matches and seasons, to some interesting online modules with the EA Sports Fooball Club platform at the helm. The game also features the Become a Star mode where our control is limited to a single player whom sports career we develop. 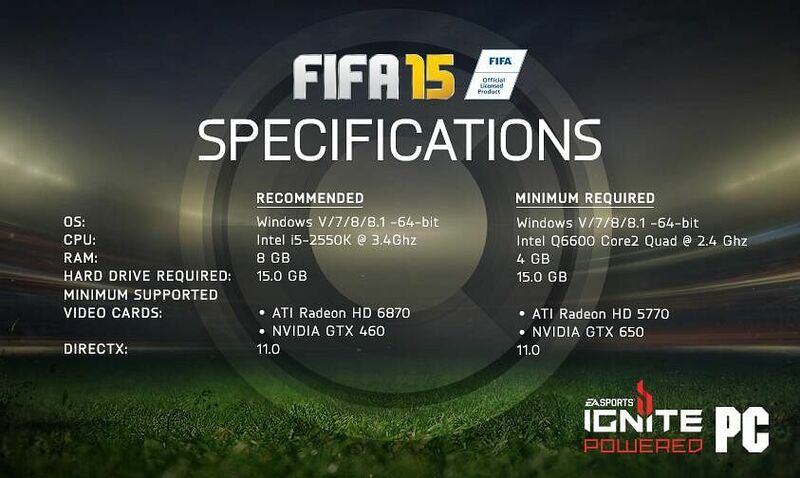 Of course, some changes have been made with respect to FIFA 14. Efforts have been made to get closer to the ideal when it comes to the realism of football matches – new sets of animations reflecting the reactions of players on the field were added, as well as the ways of presenting the events outside the match were improved. The developers also gave to us more tactical options, allowing, inter alia, the famous parking the bus or keeping the ball in the corners of the field. The defense was also noticeably improved and is now much more focused on the cooperative game with the entire team rather than individual battles with opponents. Some technical errors known from the predecessor have been eliminated. A number of new team and league licenses were also added. It is worth mentioning that this is s second game in the series which was created using a sophisticated engine by EA Sports, Ignite, created in 2013 with the aim of sports games for the eighth generation of consoles (PlayStation 4 and Xbox One). This allows us to observe the turf field dynamically react to weather conditions or refreshed player models whose construction has become much more athletic, corresponding to the image of the modern player. 0 on: "FIFA 15: Ultimate Team Edition"